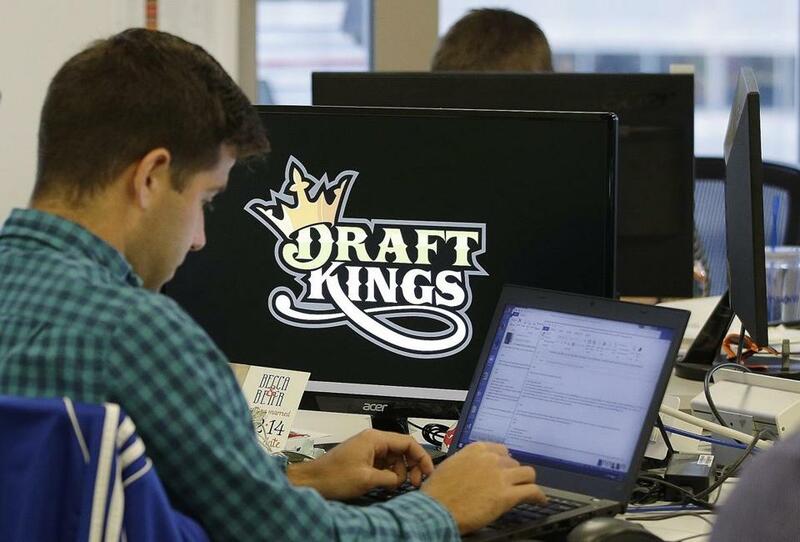 Shortly after the ruling was announced, Boston-based fantasy sports startup DraftKings said it is readying plans to offer sports betting, probably starting with New Jersey, the state that sparked the Supreme Court challenge to the federal law. The US Supreme Court on Monday overturned a federal ban on sports betting, setting the stage for a potentially dramatic expansion of gambling in Massachusetts and across the country that could generate hundreds of millions of dollars a year in new revenue. The court overturned a 1992 federal law under which betting on baseball, basketball, football, and other sports was legal only in Nevada. By a vote of 6-3, the justices ruled that the federal government had overreached by prohibiting states from making laws to allow such bets. Some Massachusetts lawmakers said it would be possible to craft a sports betting law this year. But they pledged to move cautiously, and action on Beacon Hill can be slow — as evidenced by the Legislature’s yearslong effort to approve casinos. 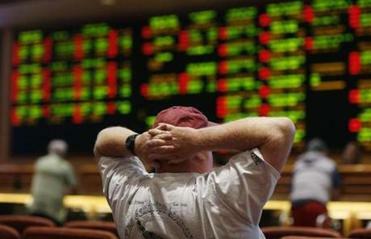 Here’s what the sports gambling ruling means for Mass. Can you start betting on sports now in Massachusetts? What about online? Here’s a look at what the US Supreme Court ruling means for locals. Other states, however, are far along in the process to write and approve regulations, notably New Jersey, where a push to allow sports betting spurred the case that went before the Supreme Court. Officials there — as well as in Delaware and Mississippi — say sports wagering could start within weeks. Rhode Island and Connecticut also are in advanced discussions. The American Gaming Association, which supported the repeal of the federal ban, estimates that Americans illegally bet $150 billion on sports each year. The Massachusetts Gaming Commission said in a February report that the companies licensed to operate the three approved casinos in the state are all interested in offering sports betting. The commission estimated such wagering could generate between $9 million and $61 million in state tax revenue a year. S&P Global Ratings on Monday said that Monday’s ruling could “result in 2018 being the single largest year for gaming expansion” as states seek to offset weak growth in revenue. Shares in casino operators and equipment makers surged after the Supreme Court ruling. MGM Resorts stock rose 1.6 percent to $32.32, while Penn National climbed 4.7 percent to $33.75. Wynn Resorts, which is involved in a proxy fight, fell 2 percent to $191.63. The Massachusetts Legislature is still discussing whether to permanently legalize daily fantasy sports — online games in which participants can win money based on the real-life performance of the athletes they select. DraftKings, the Boston-based industry leader in that business, said Monday that it wants to start offering sports wagers. The company has already begun laying the groundwork for such a platform in New Jersey. A bill filed earlier this year in Massachusetts included instructions that a special commission be created within 30 days of the Supreme Court overturning the Professional and Amateur Sports Protection Act of 1992 — as it did on Monday — and that the panel conduct a ‘‘comprehensive study’’ of regulating online sports betting in Massachusetts. That bill, however, is still in a legislative committee. The same bill sought to make permanent a temporary law that allows online fantasy sports contests, such as those offered by DraftKings, to be played in the state. There are several models Massachusetts could follow if it decides to legalize the betting. A. Jeff Ifrah, a Washington, D.C., attorney who represents online gambling businesses, said some states confine sports betting to casinos. Others allow third parties to partner with casinos on mobile offerings. Ifrah said the future of sports gambling will focus on interactive games in which users can wager on events online in real time. The federal ban had for years blocked state efforts to expand gambling into sports, until New Jersey made an initial effort to do so in 2012. Two appellate courts had blocked the effort, saying it was illegal, but New Jersey pressed on as supporters argued that states were better suited to craft gambling laws. The ban on legalized sports books “had the perverse effect of pushing an enormous market underground by way of federal decree while stamping out state and local efforts to adapt their own laws pursuant to their own citizens’ wishes,” the American Gaming Association wrote in a brief to the court. But others remain opposed to an expansion of legal gambling in any form. Colleges and professional sports leagues are divided on the issue. The New Jersey case developed as the NCAA and the four major sports leagues challenged that state’s move to expand gambling, though the commissioners of the National Basketball Association and Major League Baseball now say they’re open to legal gambling. The National Football League, meanwhile, suggested it might be better for Congress — instead of individual states — to pass legislation to regulate gambling on sporting events. Globe correspondent Matt Stout contributed to this report, which also includes material from the Associated Press. Andy Rosen can be reached at andrew.rosen@globe.com.